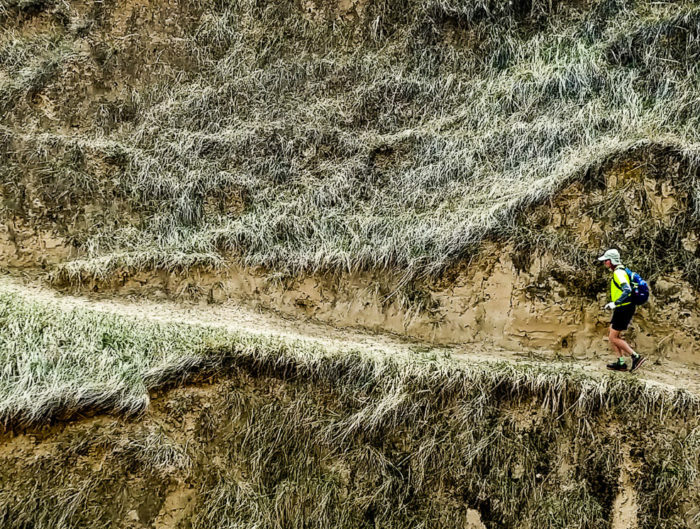 Like many adventure sports photographers, Peter Kirk has shot trail, MTB and adventure races. 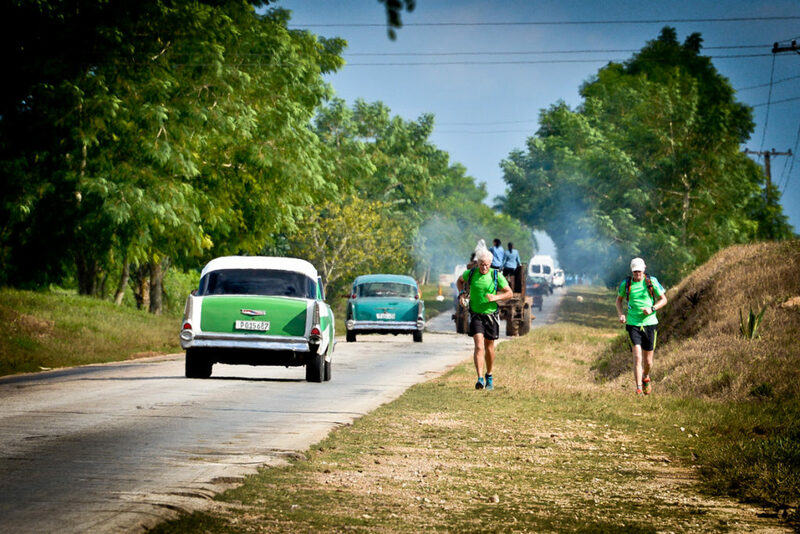 But what sets Peter apart are the images he has captured during David Grier’s Miles for Smiles runs – one across Cuba, another the length of Thailand, and soon to be the third, the Great Wall of China (east to west this time). Peter’s shots capture not only the enormity of those challenges, but the essence of the people of those countries. LD: How did you get into photography? 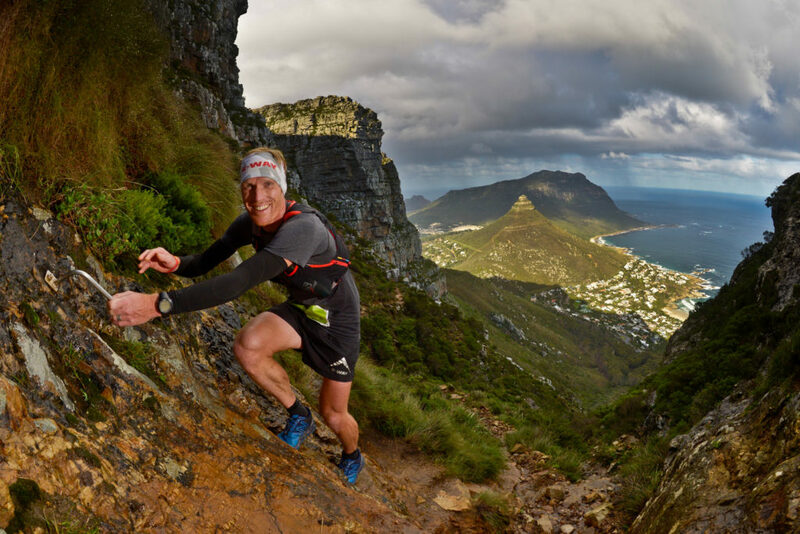 PK: A few years back I received a call from my trail running sponsor, CapeStorm, asking me to spend a day at Bloemendal Wine Estate in Durbanville, running in their new active wear range for some marketing shots. That’s where I met a certain international award-winning photographer, very well known on the South African scene. We had a lot of fun getting the right shots, setting up flashes and chatting over lunch. Then it was all over and we went our separate ways. At the time the closest thing to photography I did was take happy-snaps of hiking trails and post them on Facebook, as everyone does. I had no real idea how to work a camera, and ‘auto’ setting was all I knew. A year went by. 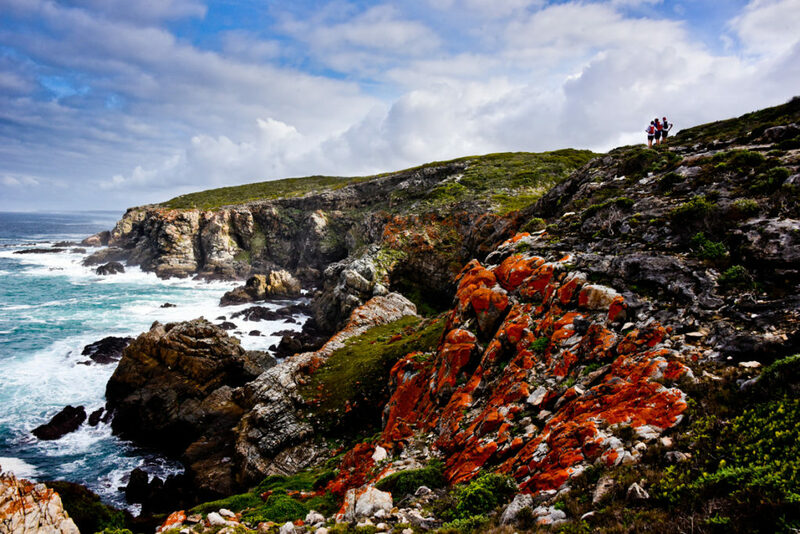 Then out of the blue I received a message from that same photographer, asking if I was available to help him shoot a 24-hour adventure race on the Garden Route. An international award-winning photographer asking a guy that can’t work a camera to help him shoot an event? Surely he had the wrong guy! Google can be quite useful. I spent a week searching ‘how to work an DSLR camera’ and reading about weird stuff like ISO, F stops and shutter speeds. It was time to take the thing off ‘auto’, buy a flash, and borrow my brother’s slightly better DSLR camera. I got no sleep the night before that first shoot! Next morning was my baptism of fire as the chaotic world of adventure sports photography set in. Clearly a week of googling had not been enough… if I got five usable shots it was a lot! It was a disaster, but at least I could be of use driving the car back to Cape Town while the international award-winning photographer processed and uploaded the images. Why he didn’t give up on me right then beats me, but a few weeks later I found myself strapped to the back of the lead quad bike as we hurtled up and over the Voortrekker Pass shooting lycra-clad speedy people on bicycles. That time I managed to nail a few more shots. It has been a long road to becoming an adventure sports photographer. When I look back, I cringe at the images I shot getting there, but like anything, the more you practise, the better you get. I’ll never forget the words said to me by the international award-winning photographer in those early days. He told me photography is 10% creativity and 90% hard work. I wasn’t afraid of the hard work, that was easy. The 10% creativity was the tricky part. LD: You’ve shot several of David Grier’s challenges around the world – Cuba, Thailand and soon, China. Tell us about those adventures. PK: I received a call in 2013 from an ex work colleague. “Have you been to Cuba?” he asked. “No,” I said, “but I know what your next question will be!” It turned out David was doing last-minute scouting for a suitable ‘candidate’ to support and shoot the fundraising challenge that he and Andy Stuart were about to do across Cuba, which was leaving in three weeks. A ‘paid holiday’, according to my ex work colleague. It turned out to be anything but! 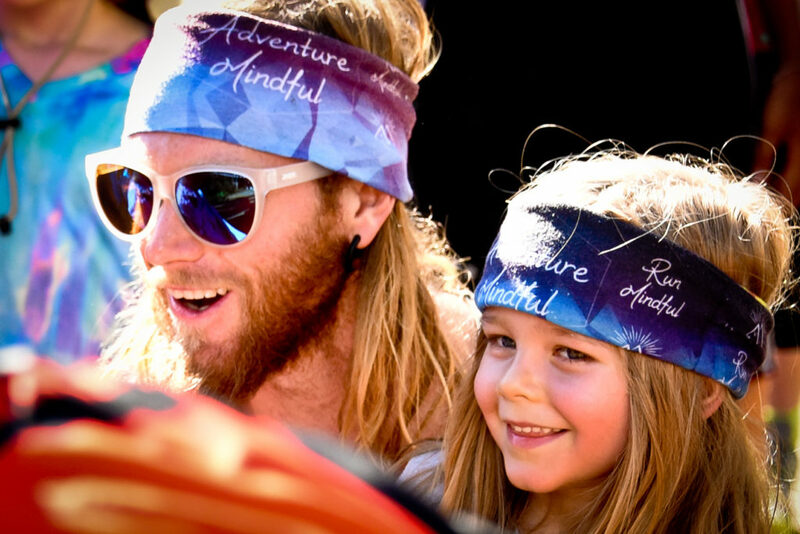 Our budget on these expeditions is small – they’re Miles for Smiles initiatives to raise funds for operations needed by kids born with cleft palate. To save money, we tried the camping-on-the-roadside thing. But being Cuba, that was not allowed. By the third night the police were hounding us – we were relieved of our passports, taken to Holguin, individually interrogated for 12 hours, and very nearly deported. They don’t like westerners, particularly those breaking the law! The authorities insisted we stay in registered ‘casa particulas’ (private residences) for the rest of the run. The upside was we ate quite well and met some amazing people who thought what we were doing was amazing. The downside was we didn’t really have the budget, so we tried to eat a lot at the casas each night, and skimp on lunch to save costs. There’re many stories to tell from our Cuba trip. One that stands out for me was towards the end, when we stayed with a couple in the town of El Cayuco. At all casas, you need to present your passports, as the iron fist of communism takes half their takings and they have to account for who stayed with them. The husband was a very likable character, but when he saw our passports, his whole demeaner changed. It turned out he had been a MiG pilot in the Angolan war, fighting against South Africa. He had the enemy sleeping in his house! 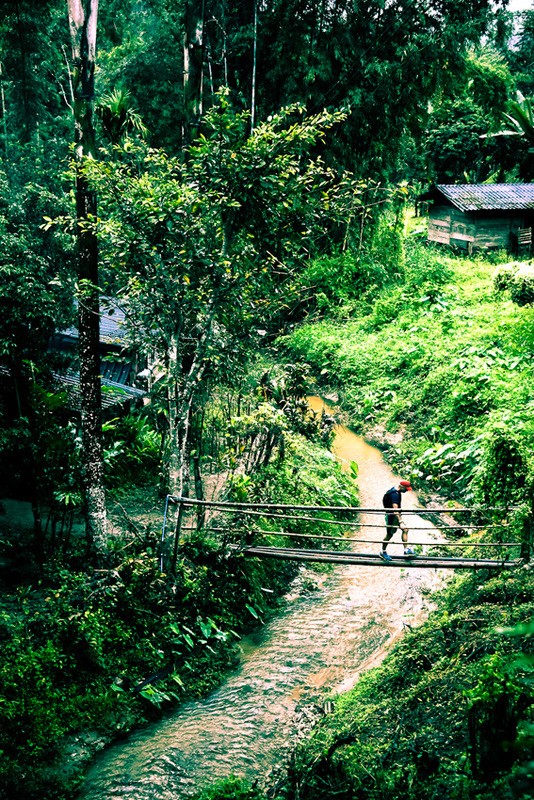 In comparison, Thailand was a lot easier to travel through. The organisers of the Thailand Ultra (a 100km trail race through the jungle on the Thai/Burmese border) invited David to run it. David’s reply was that he and Andy would run to the race start from Bangkok airport, a journey of nearly 1,000km… and then run the 100km race! We landed in Bangkok, got out Google Maps and dropped a pin on Cave Lodge near Sapong in the north, asked Google Maps for a ‘walk to’, and bingo, that was our route! And what a route it was! At times the road would disappear into a swamp with no way around. I would then have to backtrack with the bakkie and find another route while David and Andy continued through the swamp. Thankfully it became a little cooler as we headed north, and the terrain got more mountainous with dense jungles, making for some great photographic opportunities. We stayed mainly in monasteries with the monks, who were friendly, peaceful people who appreciated our need for a free place to sleep. On our arrival at Cave Lodge, I was asked to be the official photographer for the event, so the following two days I recced the route on foot to figure out how to shoot in some rather inhospitable jungle. Planning and route knowledge is so important as a photographer. Flying out from Bangkok a few days after the event, we were pulled aside at boarding. Our hearts sank as we presumed we were in trouble yet again. What had we done now? My first thought was that they were taking issue with the drone I was travelling with. They took away our boarding passes and asked us to wait. A few minutes later we were handed back boarding passes stamped ‘FIRST CLASS’. We’d just been upgraded on the Emirates A380. Champagne anyone? 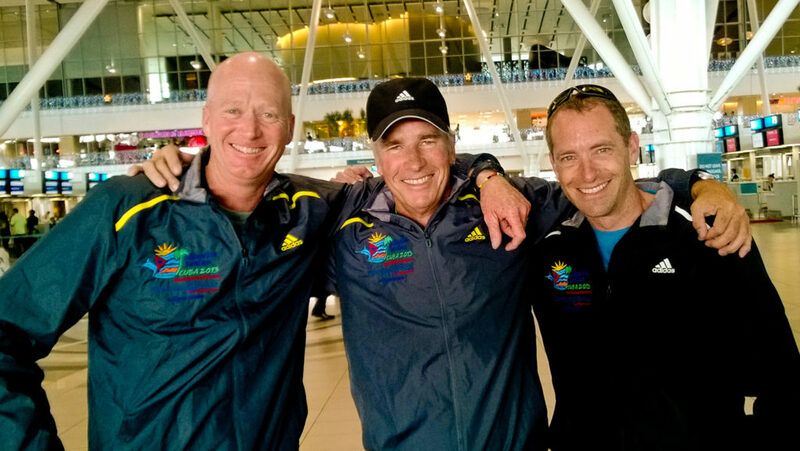 I’m no doubt that David’s next run of the Great Wall (LD: east to west this time – the opposite direction from his and Braam Malherbe’s Great Wall of China run ) will throw many challenges at us. It’ll be about 4,200km and should take three months. I envisage I’ll need to run quite a lot of each day with them, as access to the wall is limited in places, and the best areas for photos and footage are going to be in the more remote areas. It’s tough covering and supporting these trips. Every morning we’re up at 4:30am with no idea what’s in store for us that day, or where we’ll be sleeping that night. Each day you rough it, often in extreme weather. It’s a slow war of attrition. 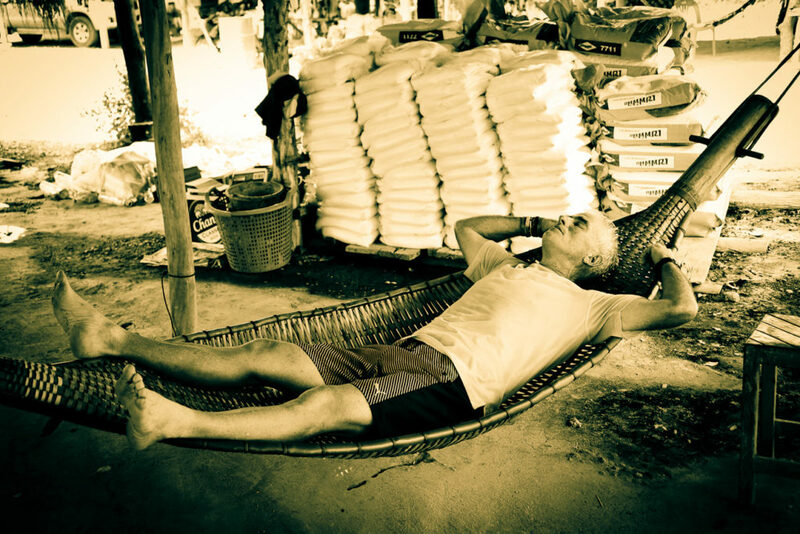 Cuba and Thailand were one month each, and that was tough. China will be three! LD: Any hair-raising moments you can tell us about? 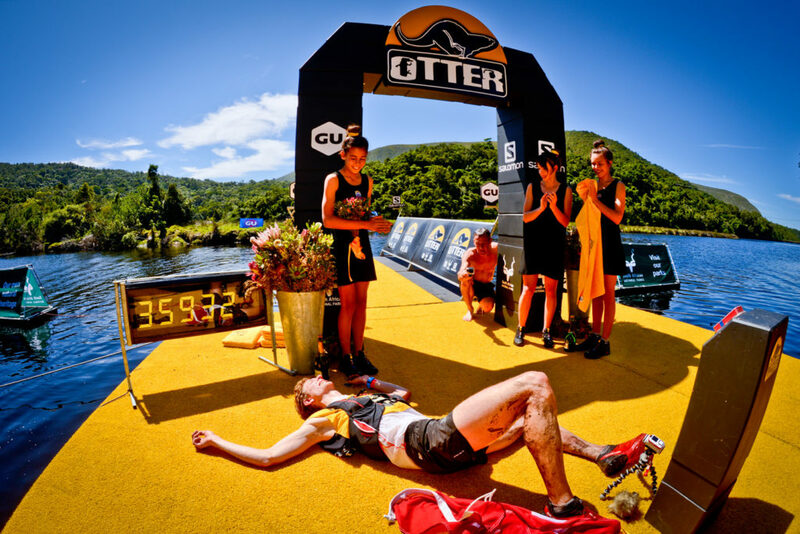 PK: I’ve trashed a camera against a rock, and drowned another on the finish line of the Otter African Trail Run. Equipment takes quite a beating when you’re running with it in trail, so there’s need for constant maintenance, repairs and replacement – a large part of the cost of shooting events that’s often overlooked. 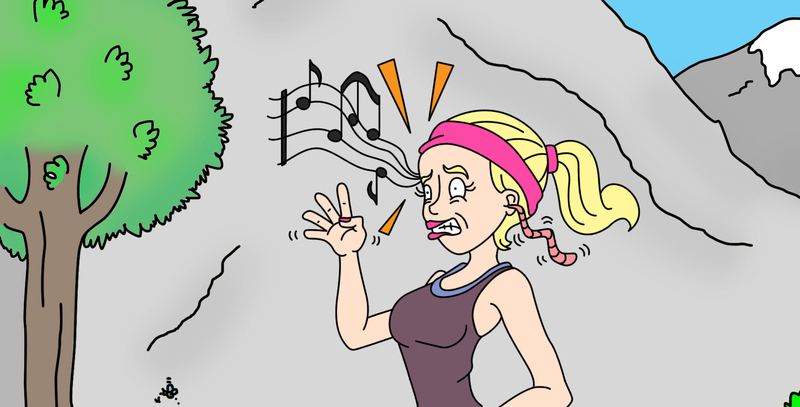 My map reading skills are usually not too bad, but I once took the wrong route and ended up having to climb out a kloof. I was literally clinging to the mountainside that just kept getting steeper, wondering how on earth had I managed to get into this situation. I couldn’t climb back down, and only just managed to climb to safety. Working in extreme weather is a big part of being an adventure sports photographer. You must get the shots, no matter what. Learning to make the most of these situations while capturing athletes in extreme heat and cold can be challenging. During one Otter Challenge, we had a 60mm downpour, making the paths rivers in places and with every step there was a chance of a fall. You can waterproof your equipment to a point, but in those conditions, everything gets wet and cameras start to malfunction. I was running with three cameras so I had backup. 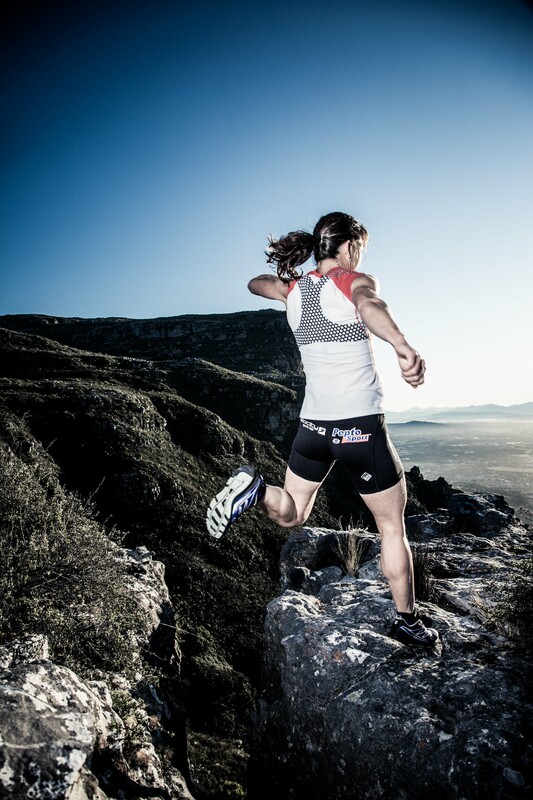 LD: What has been your most memorable trail running shoot and why? 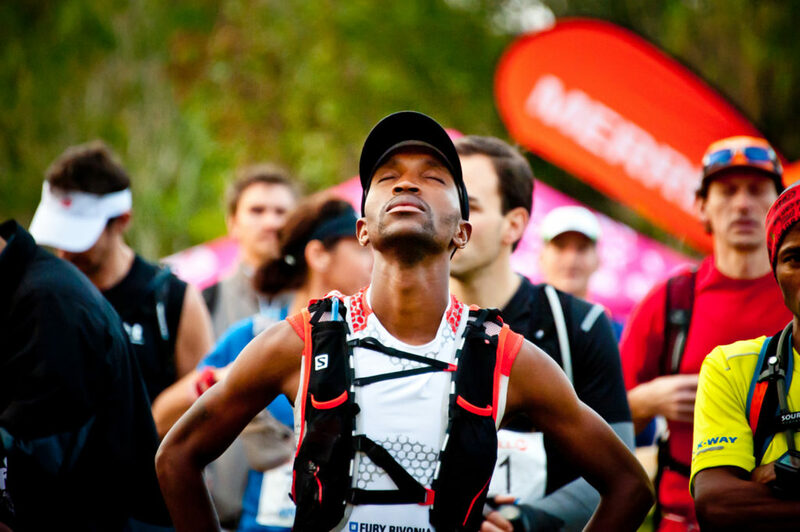 PK: While out at Kleinmond in the Western Cape shooting Gravity Festival a few years back, there was a medical emergency back in Cape Town that meant the photographer scheduled to shoot the Trail Series trail run that day was not able to make it. This was discovered just two hours before the start, so I was quickly drafted to shoot the entire event. 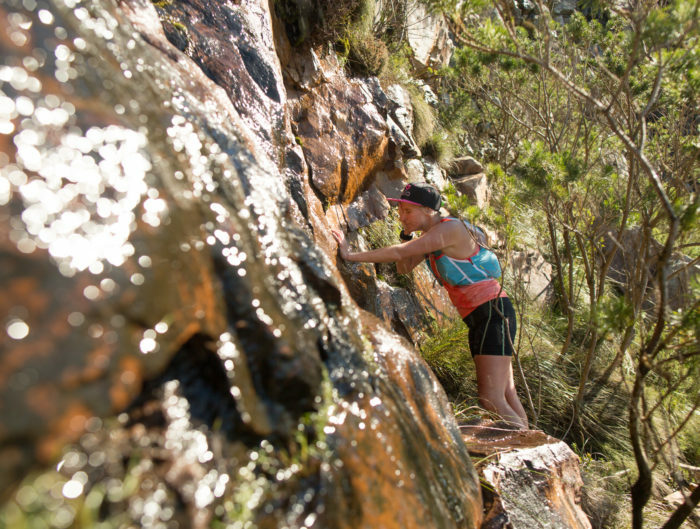 It also meant the same photographer was unable to shoot the Wild Coast Wildrun, so I received a call from him about two weeks before the event. He asked if I would be able to run a marathon a day for three days, carrying all my equipment. 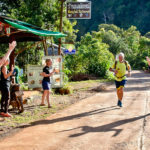 I said yes but had serious doubts – I wasn’t fit for marathon distance, let alone on trail… lugging 9kg of cameras/water/food/dry bag, with no photographic support or helicopter. But sometimes I find it difficult to say no. Those three days taught me there is merit in the notion that you can run yourself fit during an event! LD: Whose photography has most aspired you? PK: No hesitation there: Jacques Marais. 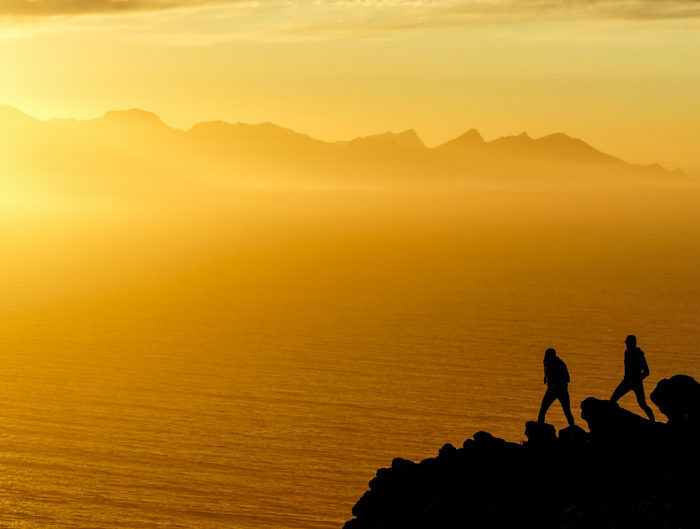 When you get to work with the best South Africa has to offer in terms of adventure photography, the benchmark is set very high – next-level shots are not considered the exception. You need to push yourself constantly. When 90% hard work and 10% creativity is what sets you apart from those content with 90% creativity and 10% hard work, then you’re on the right path. I’m often asked how I got to shoot with Jacques. I can’t answer that, I have no idea myself. Perhaps one day I should ask Jacques that question! LD: Any dream places or adventures or challenges you’d love to shoot? A remarkable photographer, and so modest about his talent. Wish I was a fit enough trail runner to do at least one of the trails that Peter captures so brilliantly. Looking forward to seeing photos from China.